“The key indicator that an individual is ready to begin this transition is the emergence of a new level of personal responsibility,” clinical psychologist Mark McConville writes in the column. 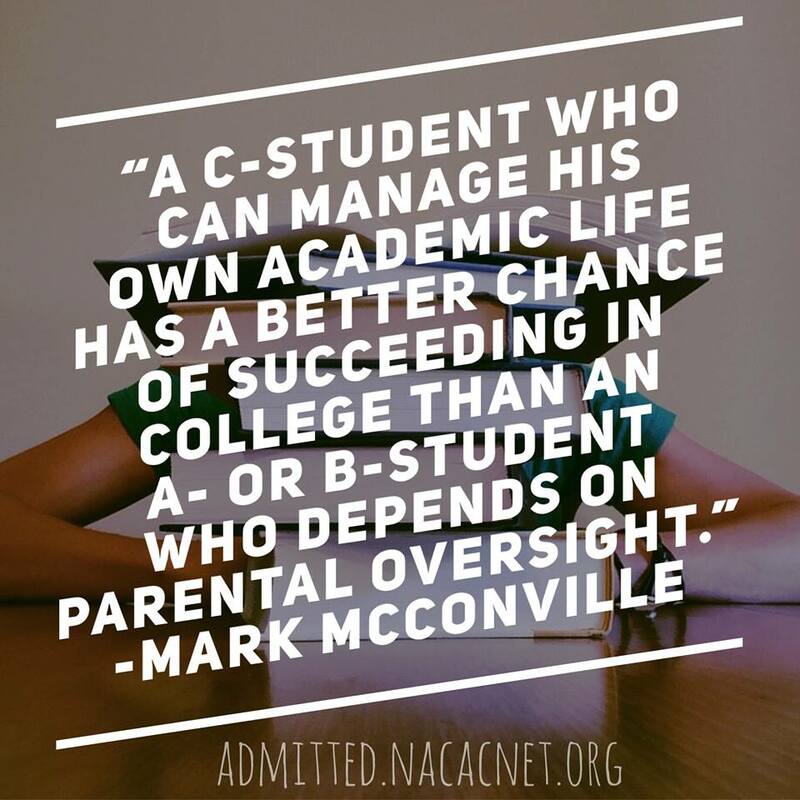 Specifically, college-bound students should be equipped to handle their academic obligations, shoulder administrative tasks, and oversee their medical and behavioral health before leaving for college. That means setting a sleep schedule, doing what they need to do to stay on track in school, and feeling comfortable completing everyday tasks, such as arranging a doctor appointment. By taking a step back, families can help their students prepare for college while still in high school, McConville said. For instance, he urges parents of rising high school juniors to let their teens take greater control of their academics in the year ahead.